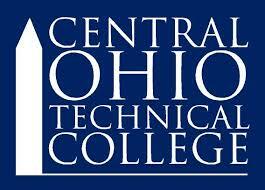 At Central Ohio Technical College, students can earn one of 50 associate degrees (including all options and majors) or certificates, and obtain the high-tech skills and training needed to compete in today's workforce. Students choose COTC to gain hands-on, applicable experience to begin working in the field, or to transfer those credits toward a bachelor's degree program.One of the unique features of COTC is four full-service campus locations throughout the region, as well as convenient online classes. Through the newly developed Workforce Development Innovation Center, COTC is well prepared to meet the customized training and education needs of the business communities. The campus offers abundant student recreation and cultural activities, with more than 50 student organizations and clubs. The John L. and Christine Warner Library and Student Center has become a beautiful and friendly hub of student life on the campus, and is also valued by community groups and visitors. COTC is proud to enjoy the support of the community, and to be able to provide students with personal attention, superior education, state-of-the-art facilities, and credentialed faculty and staff on a very scenic campus.